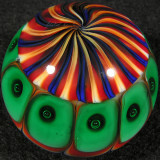 George (yes, the brother of Kevin) creates beautiful glass art out of Santa Fe, NM, and shows off a really wide range of glass skills. 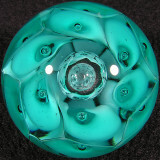 I've seen just about every glass shape imaginable from George, including marbles, beads, tops, pendants, vases and bowls, but of course the marbles are always my favorite. 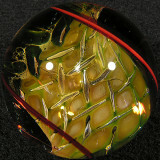 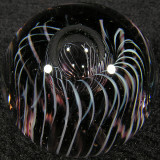 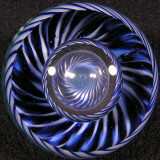 George is also well versed in the use of both soft glass and borosilicate, so he has pretty much worked with everything! 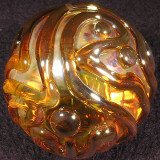 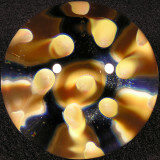 His soft glass marbles tend to be colorful and fun, often with large air traps inside, while his boro marbles are much more ethereal, usually containing gold or silver fuming. 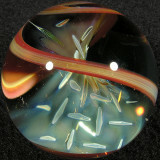 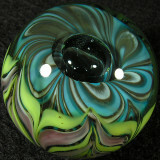 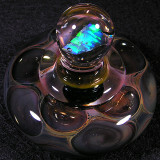 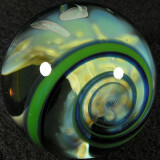 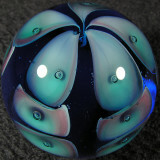 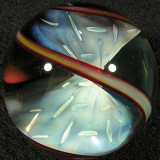 George has a decades long career, so his marbles are a strong part of marble history, and a must for every collection!